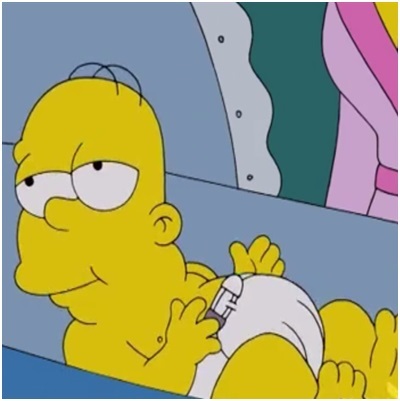 Can you name these Simpsons characters, depicted as either a younger or older version of themselves? Scenes may be flashbacks, flash-forwards, dreams, fantasies, tall tales or fictional accounts based on characters and not necessarily canon. If two characters are prominently featured, name either. First names are required for all characters with the "Simpson" surname.